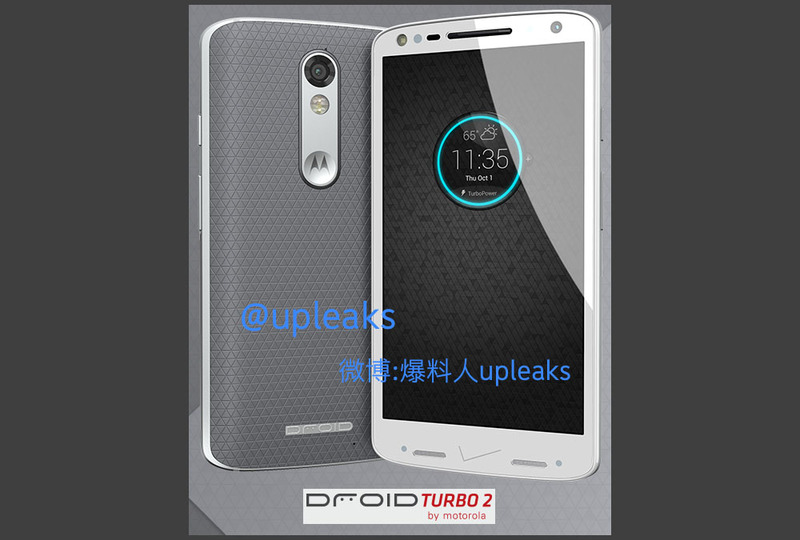 Last week, we caught wind of a new Motorola device called the Moto X Force that was said to be on its way to the US as a new DROID Turbo 2. This week, @upleaks posted a photo of this alleged device, DROID branding included. The famed leaker also mentioned that it’s coming to Verizon exclusively – no shocker there. From the picture, we can see “DROID” branding at the bottom of its backside, similarly to where it was placed on last year’s DROID Turbo. We are also getting a triangular pattern like the one found on a leaked DROID from earlier this year. On the front, we have some sort of odd speaker arrangement towards the bottom of the device, along with a big ol’ Verizon check (branding!). Up top, there are either two cameras on the front of this phone, or this is a fake image, or Motorola is doing some weird sensor things that are behind anything our mind can comprehend at the moment. And that’s really all that is new. Remember, @upleaks previously said that this phone was “shatterproof.” Whatever that means.